The toxicity of nanoparticles seems to emerge as the main concern in the near future. This concern regards with their future reproductive possibility through self-assembly mechanisms and of their stability that may pose a risk to human health. It is worth to note that their toxicity could be associated with their physicochemical properties like size, size distribution, charge, and surface properties. Moreover their toxicity seems to be a result of their greater total area in comparison to particles of the same mass but larger dimensions. The toxicity in molecular level is defined as biotoxicity, while the route of administration seems to be essential for their accumulation in specific organs. Their clearance from the human organism occurs via the spleen and liver. 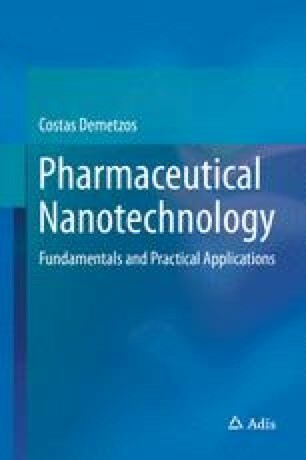 The Food and Drug Administration (FDA), National Institute Of Safety and Health (NIOSH), and Environmental Protection Service realized that they should turn their attention in the nanosystem risk investigation so the appropriate safety rules and regulatory framework should be developed. However, vigilance in the approval of nanotechnological products was an emerging issue, and the manufactures and the regulatory agencies should act appropriately.